Stranger factory is so pleased to announce our January exhibition! 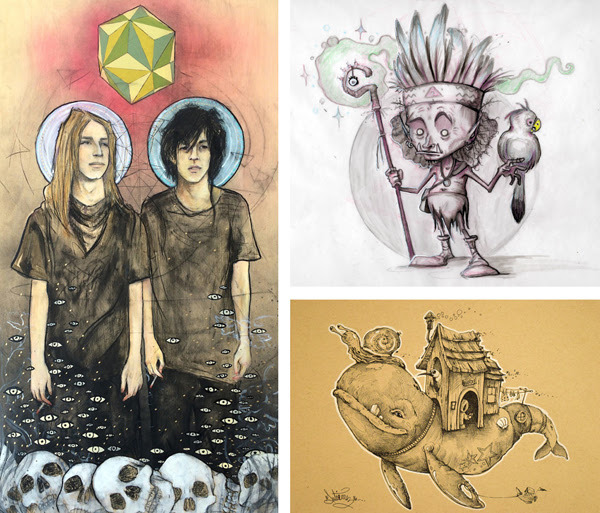 For the first time in our 6 year history, Stranger Factory gallery will host an exhibition of new works featuring a diverse group of artists from the land of enchantment. “Made in New Mexico” will feature almost two dozen local artists from throughout the state. Many of the artists are expected to attend the opening reception on January 13, from 6-9pm. The exhibition will run through January 29. Participating artists, include: Ryan Singer, Stephan Webb, Karl Deuble, Joel Nakamura, Peter Hague, Johnpaul Gutierrez, Sandi Pierce, Stan Harada, Dorielle Caimi, Travis Black, Al​ Na’ir Lara, Jason Andrew Smith, David Santiago, James Black, Nikki Zabicki, Bubzilla, Rita Riggs, Chris Erickson, John Sumrow, Chris Grill, Kathie Olivas, Brandt Peters! Many artists will be in attendance for reception. Paul Kaiju returns to Stranger Factory on March 16th!